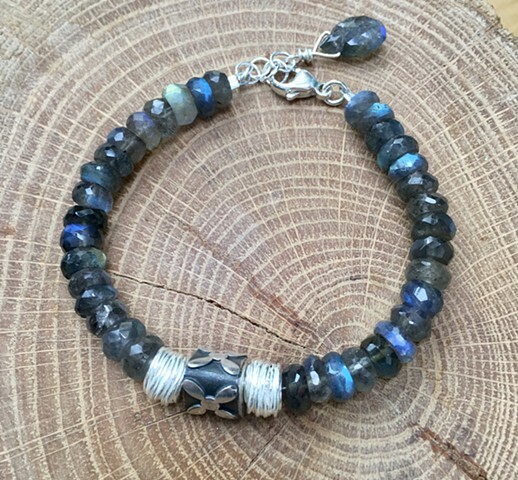 Gorgeous blue labradorite rondelles with silver geometric "X" bead and silver wire wrapped accents. Labradorite pear shaped accent on 2" extender chain. Sterling lobster claw closure. Approx. 7 1/4-8"